Several years ago I wrote an article with some tips for how to cut your cable. It’s amazing how quickly things change! Cutting your cable was a little revolutionary back then, but it’s become much more mainstream these days. I just wanted to share the service we’ve settled on for replacing our cable — Hulu Live. We made the switch on a trial basis last June (there’s no contract, so you can cancel any time), and we’ve never even considered cancelling. As a little back story, after my how to post, we actually went back to the cheapest cable service we could find for about a year. Finding quality sports coverage was challenging at the time, and piecing together different services quickly added up. So my husband was worried about being able to watch all of the college football games and baseball games he wanted to see. After switching, we were so happy to discover that our Hulu Live login also gives access to the individual channel apps. So the few times a game wasn’t being broadcast on Hulu Live, we’ve been able to login through the ESPN or Fox Sports apps and still watch. AND since you can also stream on your smartphone, this also means that we were able to catch games that were being broadcast during our kids’ soccer games. In fact, the ONLY time we couldn’t figure out how to watch a show we wanted to see was during Shark Week. But Hulu recently added the Discovery Channel to their lineup, so that won’t be a problem in the future! If you recall, back when we had a traditional cable package, we were paying $50 a month just for the cable boxes to hook up our TVs. RIDICULOUS!!! 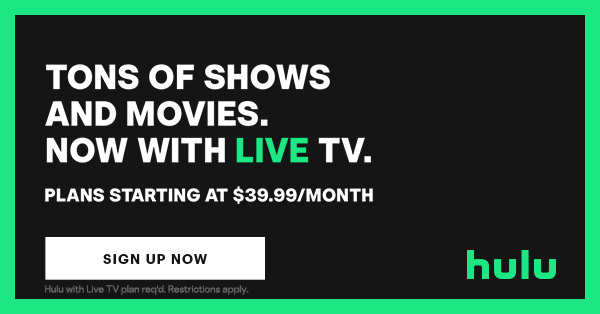 We’re paying LESS than that with Hulu Live, and we’re getting SO much more for our money. Their live TV rates start at just $39.99 right now! If you’ve still been on the fence about cutting your cable, I highly encourage you to check it out. P.S. 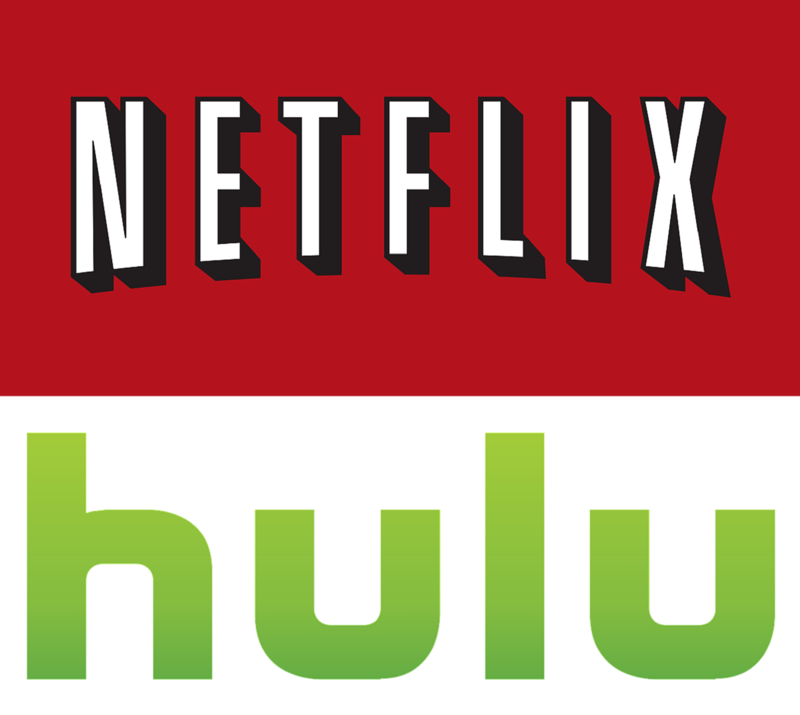 You can also try a 30-day FREE trial of Hulu Streaming right now! It’s a good way to check out some of their exclusive programming and see if you like the service. 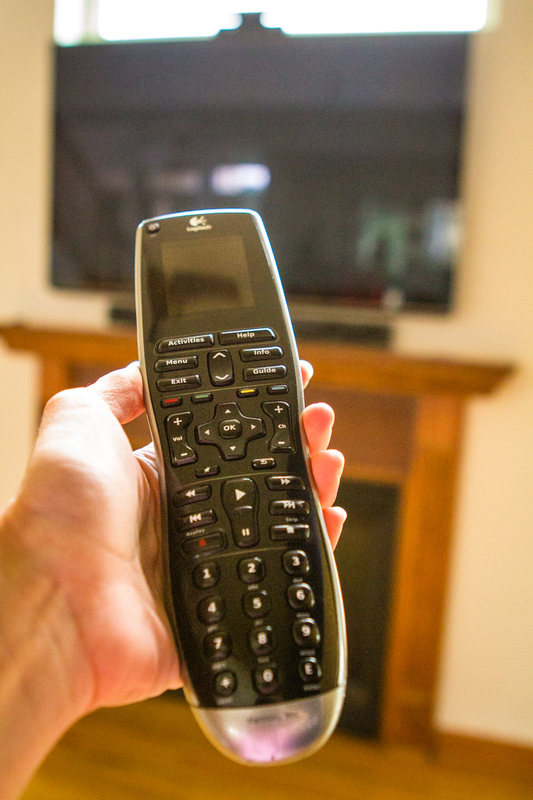 Cut the Cable — How To Eliminate Your Cable Bill & Save Hundreds Per Year! Over the past year-and-a-half, I’ve noticed a definite change my kids’ TV-viewing habits. Namely, they really don’t watch cable TV anymore. Most of their media is consumed on their devices via YouTube, Netflix, Hulu, etc. And the same goes for me and my husband. Outside of Game of Thrones and the occasional live sports event, the TV is mainly a source of background noise. I’ve been seriously tossing around the idea of cutting our cable package for the last few months, but the first few times I brought the subject up to my husband, let’s just say he was less than enthusiastic. However, after mentioning during one conversation that we’ve been paying $50 a month just for cable boxes, he started listening a little more intently. Here’s an interesting fact… Did you know that the average cable subscriber gets around 178 channels, but only watches 17? You are probably paying for more channels than you really need. I know for sure this is true for my family. To get certain “premium” channels, we had to subscribe to a much larger package than we really needed, and we only watch a fraction of the channels. Perhaps one day the cable industry will wise up and allow us to pick and choose, but until then, after much research and planning, we’re taking the leap and cancelling our cable TV service. If you’ve been considering ditching your cable, as well, there are a few things that you need to consider. You may already own everything you need, or you may need to pick up a few additional items to make the switch, but in the long run, you should more than come out ahead of your current cable situation. 1. Check to see if your current ISP will support streaming media. While we’ve been mostly pleased with our current Internet Service Provider, they recently updated their data caps. Unlimited data is only available if you subscribe to the largest cable package or pay an arm and a leg each month. Sneaky, sneaky, huh? After investigating other local providers, I found another ISP that offers unlimited data at speeds 2.5 times faster than our current service for only $10 more a month. Sold! To save a little more, we opted to purchase our own modem. Our new ISP gave us the option to rent one for $10 per month, but we’ll save $50 over the course of a year by purchasing our own up front. I should note that we already use an Apple AirPort Time Capsule as our Wi-Fi router (as well as for backups). 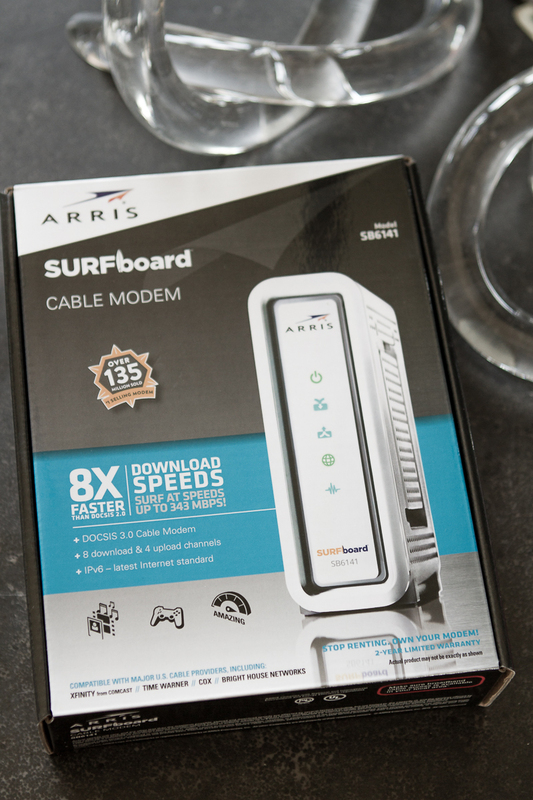 If you don’t have a router, you’ll want to purchase a combination modem/router. Your ISP can provide you with a list of recommended modems and/or modem/routers, as well as assist you in determining which you will need to purchase. 2. 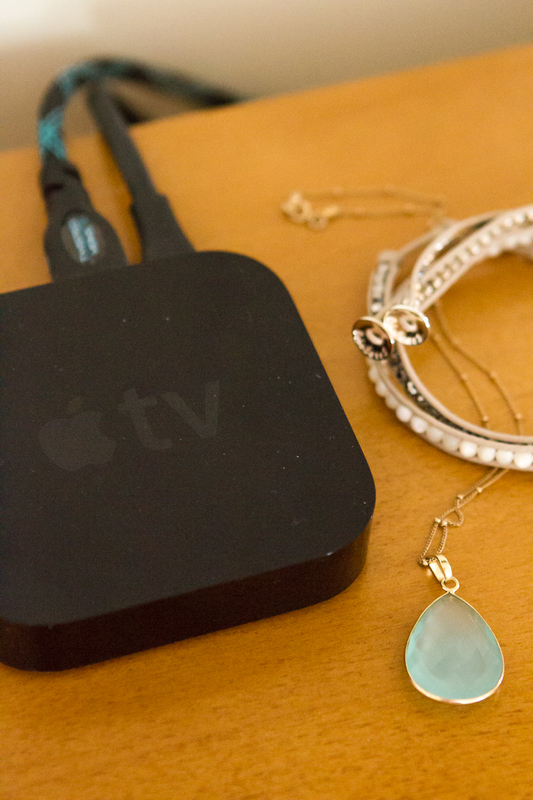 Determine if you have a smart TV or need a streaming device. If your TV has Wi-Fi access and a library of streaming apps, you’re already set. But if you have an older TV, you might need to purchase a streaming device. I say “might” because, if you already own a newer gaming console, they have a library of streaming apps available for download. Our three boys will be using their Xbox One consoles to stream to their TVs. Our other TVs will use a combination of Apple TVs and Fire Sticks, but there are a number of other options on the market. From Roku to Chromecast to Slingbox, you can check out the various options here. 3. Choose a digital antenna and/or streaming services. If you live in an area that is capable of receiving over-the-air (OTA) broadcast signals and your local broadcast stations (ABC, NBC, FOX, CBS, etc) transmit a digital signal, you can actually watch HD digital television programming for FREE! You’ll just need to pick up an HD antenna, and there are a ton of budget-friendly options available. Plus you can choose from a wide variety of streaming services, such as Netflix, Hulu, HBO NOW, and more, to view cable TV shows, movies, and other exclusive programming. We’ve subscribed for Netflix for years, in addition to our cable TV service, and subscribed to Hulu a few months ago to watch their exclusive 11.22.63 series (so good!!! ), so these are not new charges for us. The nice thing about all of these services is that they bill on a monthly basis with no contracts or obligations, so you can subscribe and unsubscribe at will. Cutting the cable not such a radical idea these days. With the wide variety of options available on the market, there’s a viable solution for just about any type of programming. But I have to admit, for this girl who’s had cable access for as long as I can remember, it’s still just a tad scary. I imagine there will be a few challenges to work through over the first few weeks, but we’ll work through them as a family. Walmart has everything you need to cut the cable, including some Cut the Cable money-saving bundles to get your started! Have you ditched your cable bill, yet? What are ways that you save on your cable bill? Disclosure: Sponsored by Walmart, all opinions are my own. Thank you for supporting the brands that support this site!